Woodlands come alive in spring and are rich and diverse habitats for wildlife. On our Woodlands in spring course you will find out about the history and management of ancient woodland and look at some of the species, including carpets of Hampshire’s famous bluebells, associated with this special habitat. You will also have an introduction to woodland management and woodland ecology overview. At the end of the morning you will have gained knowledge to identify common species of plants and animals in woodlands and enrich your spring woodland walks. On our Woodland in spring course you will walk approximately 3 miles on public footpaths alongside the beautiful Harewood Forest. 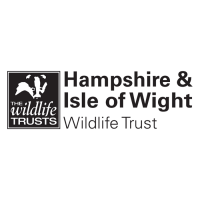 This course is suitable for you if you are interested in exploring Hampshire’s woodlands and you would like to understand basic woodland wildlife species and ecology. Appropriate clothing for walking outside for the weather on the day. Comfortable and sturdy walking boots. Binoculars may be useful if you have them.